The contest is still on!!! I’ve decided to move the deadline and you have time until the end of August. Also I will be giving away at least 3 copies of the comic. So there will be 3 winners! 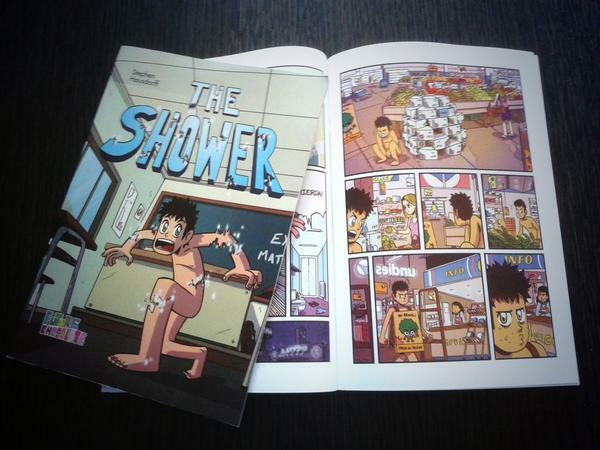 Want to win an exclusive new comic “The Shower” , 45 pages, full color, size B5? Draw your favorite Ice Cream Surfer character and tell me why, post it on any Social Network the more the better (Tumblr, Facebook, Twitter, Google+, DeviantArt, etc) during July and August*. Don’t forget to send me a message on any of the SN or an email to this website’s email (info at icecreamsurfer dot com).